It’s fall here in Bolingbrook! That means the kids are back in school, the leaves on the neighborhood trees become more vibrant each day, and the holiday season is on the horizon. This is a special time of year, make sure you’re enjoying it to its full capacity by preparing your home’s heating system for winter—you don’t want to get caught out in the cold! If you need premier HVAC services in Bolingbrook, IL our technicians at Johansen & Anderson Inc are the right team for the job. We understand the specific needs of Illinois residents because our company has serviced the area for the past 70 years. We’ve taken the time to perfect our craft—you can count on us when you need a job done right. It’s fall and temperatures are finally starting to cool down here in Joliet, now is the perfect time to start preparing your furnace. 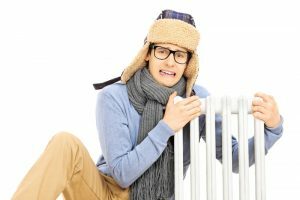 If you noticed that you had any heating inconsistencies throughout the past year, then now is the time to handle these problems before temperatures really plummet. If you need expert furnace services in Joliet, look no further than our team here at Johansen & Anderson.